If you think that beauty treatments are just confined to women and going to salons is a womanly thing, then you are mistaken. There is nothing like that what a woman can do, men cannot. If you think that beauty treatments are just confined to women and going to salons is a womanly thing, then you are mistaken. There is nothing like that what a woman can do, men cannot. Men too have the right to worry about their looks and take steps for its improvements. Even today’s women are also very particular about how men look. And, this has resulted in a large number of male-specific beauty spas. Men, these days are very open about their beauty needs and they head to salons for the same reasons as women do. Gone are the days when seeing a man going to a parlour was a thing of discussion, today it is a cool fashion statement. Nowadays, salon treatments for men are becoming popular because like women, they too are conscious about their weight, diet and wrinkles. They too browse for good discounts and offers on hair and beauty treatments in various salons in their free time, similar to what women do. These days’ men of all ages and social profiles want to take care of themselves. Be it hair, skin or physique, they want perfection like women.Since men’s skin is 24% thicker than women’s and is less sensitive to touch, temperature and pain, so it has fewer elastic fibers. This is the reason behind the loss of skin firmness in men, which tends to get saggier and loose with time in comparison to females. Thus, whether you are first-time salon visitor or someone looking for advanced male beauty treatments, this post will help you to look your best in the best possible ways. We know how hard you work be it in your workplace or family. With so much of stress it is common to witness those wrinkles, fine lines, and blackheads. 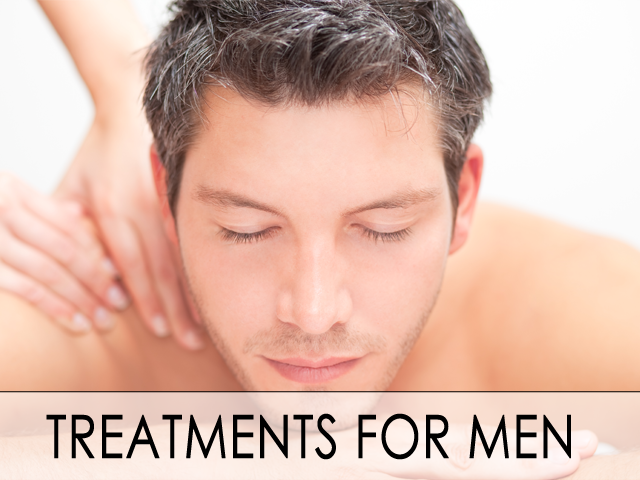 But don’t worry; with a range of salon treatments for men, you can easily get rid of these issues. There are a number of facials which you can try to keep your face clean, hydrated and nourished. It is not that scary as it sounds. This treatment is done to prevent wrinkles on your face, eye area rejuvenation, dark circle reduction, correcting your puffy eyes and eye bags. The best part about this treatment is it can be used for both body and face problems depending upon your concern. This one is another great male beauty treatment, which aims at skin tightening. Here the massage is targeted at the deeper layers of muscle and connective tissue, in a way, relieving you from low back pain, upper back, stiff neck, and tightening of shoulders and muscles. Well, if you are fed up of your excessive hair, then laser hair removal is for you. Considered as the top beauty treatment in males, almost every renowned salon these days is offering this hair treatment service to men. This technique mainly focuses on the back, chest, eyebrows and face, thus relieving you from the hassle of daily shaving. The trend crazy men can even go for their underarms, legs, and beard. Hence, offering you a one spot solution for all your hairy issues. Well, a lot has been discussed about the salon beauty treatments for men, but the actual thing lies in how these techniques can be moulded as per the male language. In this way, the number of men visiting beauty salons will continue to rise. Just think about it! A Change is waiting to begin!